The annual festival held at the Kottankulangara Devi temple in Kollam is a unique one. 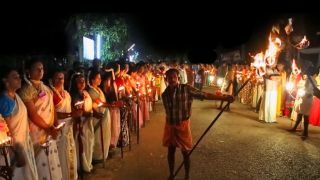 Called the Kottankulangara Chamayavilakku, this festival is marked by the presence of a group of beautiful women moving together in the temple premises on the festival night. But here, you may have to take a closer look to find out the real identity of these beautiful ladies. You would be surprised to find that they are men dressed up as beautiful ladies as part of a special temple ritual during the festival at Kottankulangara. 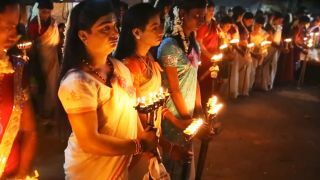 During the festival night, these ‘women’ holding traditional lamps walk in procession to the temple to the accompaniment of the traditional orchestra. 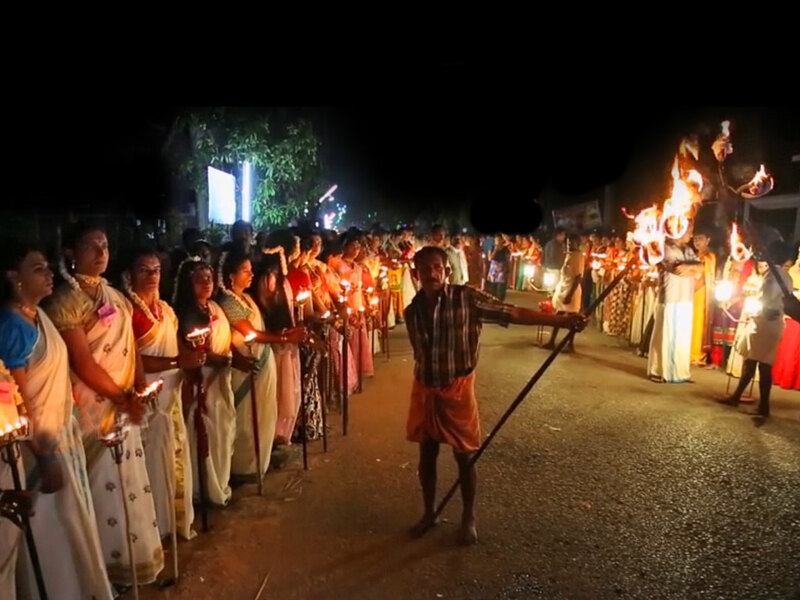 The Chamayavilakku procession falls on the 10th and 11th of the Malayalam month Meenam (Mid-March). The annual eleven-day festival starts at 1st of Meenam. Kuruthola Pandal and Jeevatha Ezhunnallathu are the other attractions of Kottankulangara Sri Bhagavathy Temple. Kollam, Kerala – 691 583.